After this summer of record rains, heat waves, and a debris-filled Bay, all topped off by a hurricane scare, we could certainly use some of the quiet, peaceful weather we often have this time of year. 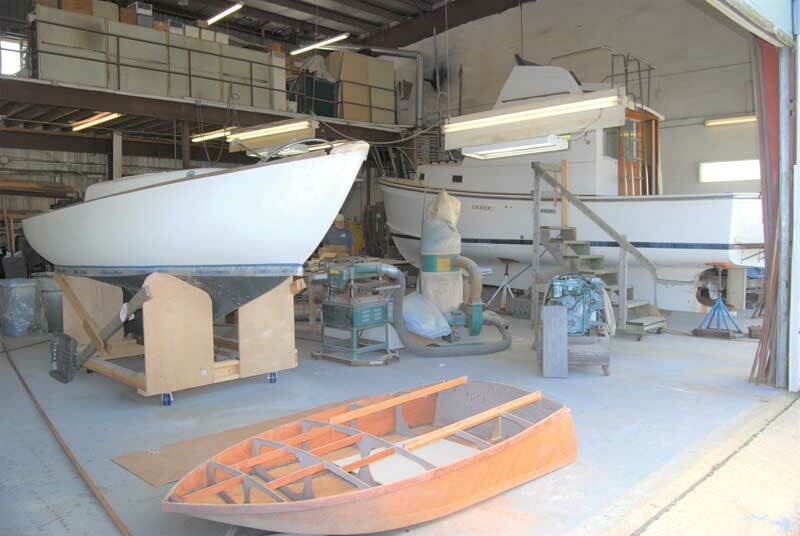 For the November 2018 Boatshop Reports, most area shops report that, despite the unusual weather, they remained busy this summer. 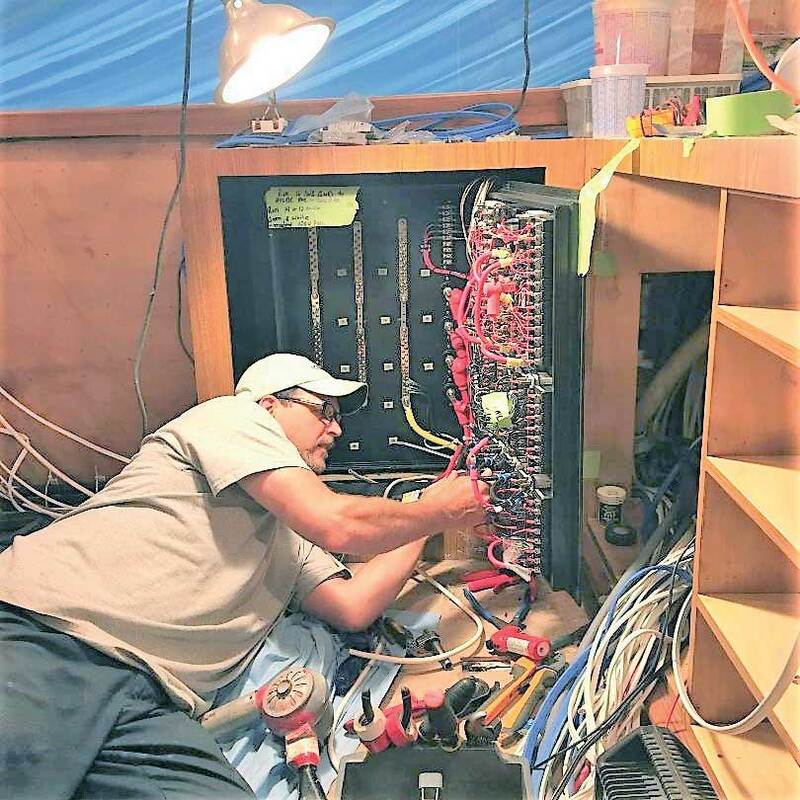 Rick Kendall rewiring the main distribution panel on a 74-foot Spencer Sport Fisherman at Worton Creek Marina in Chestertown, MD. 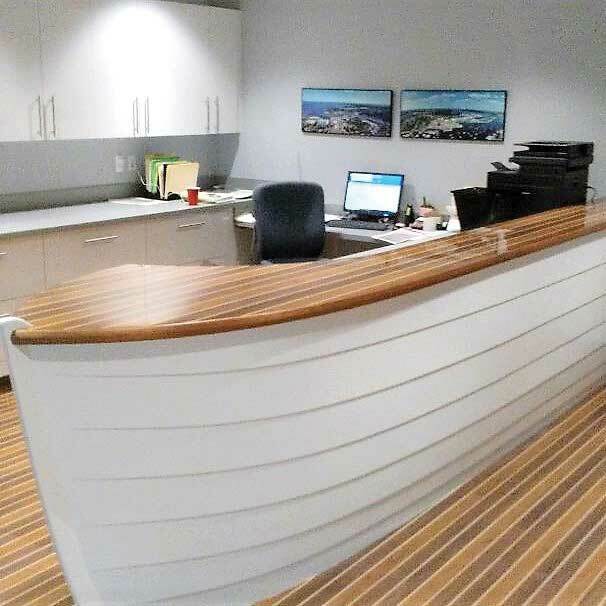 Noyes adds, “This fall, the CLC workshop will be humming with the WoodenBoat School’s series of off-campus build-your-own-boat classes, followed by another two-week Build-your-own CLC Teardrop Camper class in November. Feel free to drop in and watch live on the CLC shopcam at clcboats.com/shopcam. 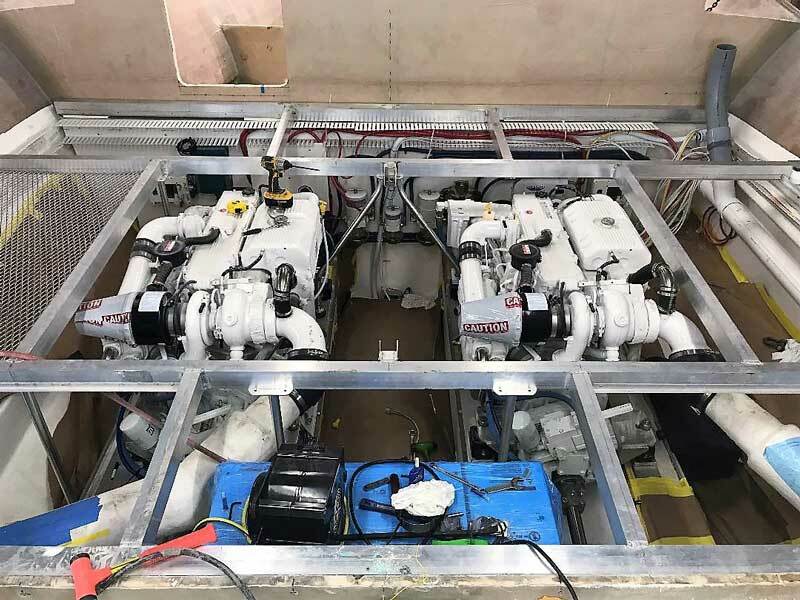 Newly installed 500-hp Cummins diesels in a CY 46 under construction at Composite Yacht in Trappe, MD. 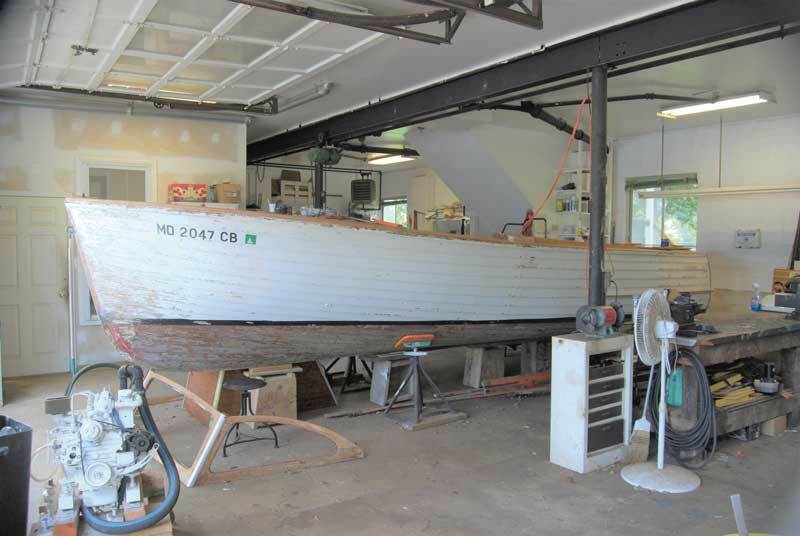 A rebuilt Ford 302 ready to be installed in a 17-foot Century Resorter at Classic Watercraft Restoration in Annapolis, MD. 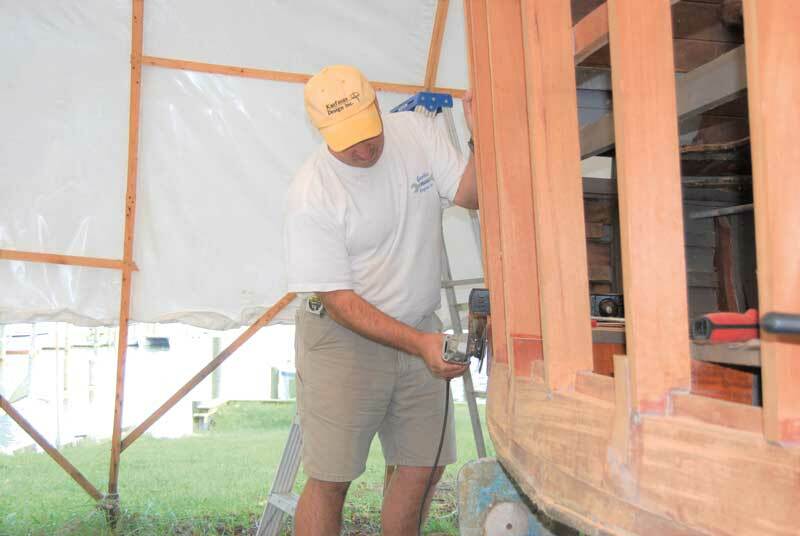 Hank Reiser of Marine Service, LLC at Pocahontas Marine Service in Edgewater, MD, is working on the restoration of a 1951 35-foot Chris Craft Commander. The owner bought the boat sight unseen and brought her to Hank for replacement of the transom, aft cockpit, and some after hull planks. 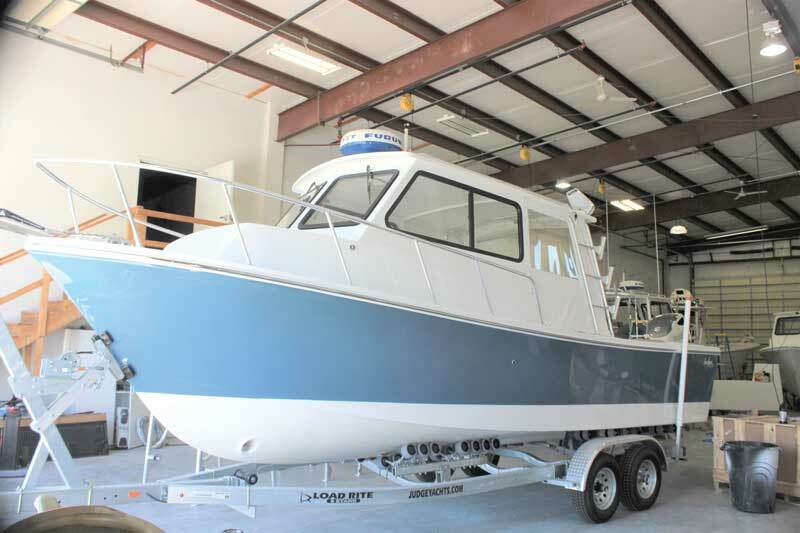 The Commander was probably originally powered by twin Chris-Craft Hercules K or KL sixes, but was repowered at some time in the past with twin Gray Marine 237 Fireball V8s. 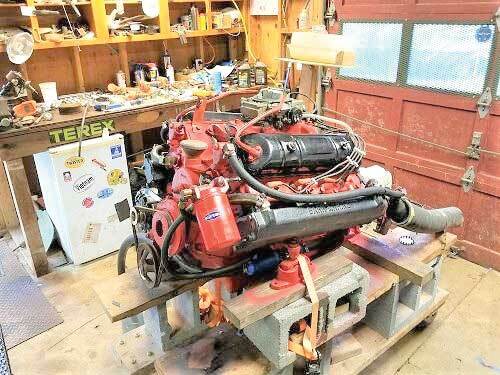 Among other projects in Hank’s busy shop is a mid-50s Lyman 23. The plan is to have both boats completed and ready to show at the Antique and Classic Boat Show next June. Tom Gunther of Gunther Marine in Edgewater, MD, says they had a good clean up when they had to get everything out of the shop for the hurricane, but everything is back now and a lot tidier. 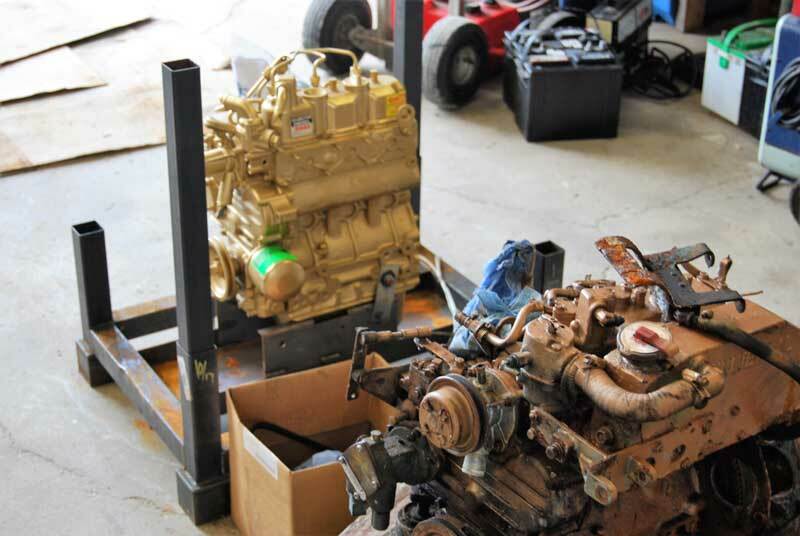 They are in the middle of repowering a Catalina 30 with a new 27-hp Kubota D950 diesel.